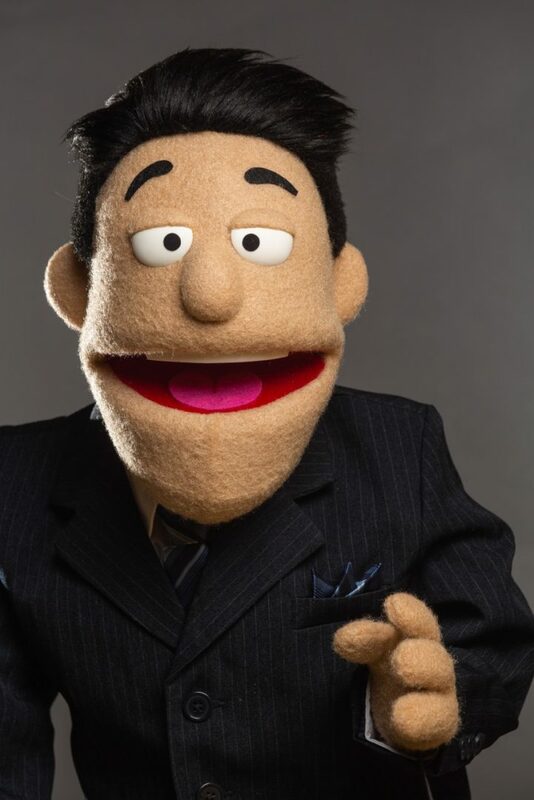 Every puppet project starts as an idea from the client. Sometimes it’s a fully thought out piece of art that the client has carefully crafted to fit the idea in their head. Sometimes its just a vague description. In the case of this project, the latter was true. 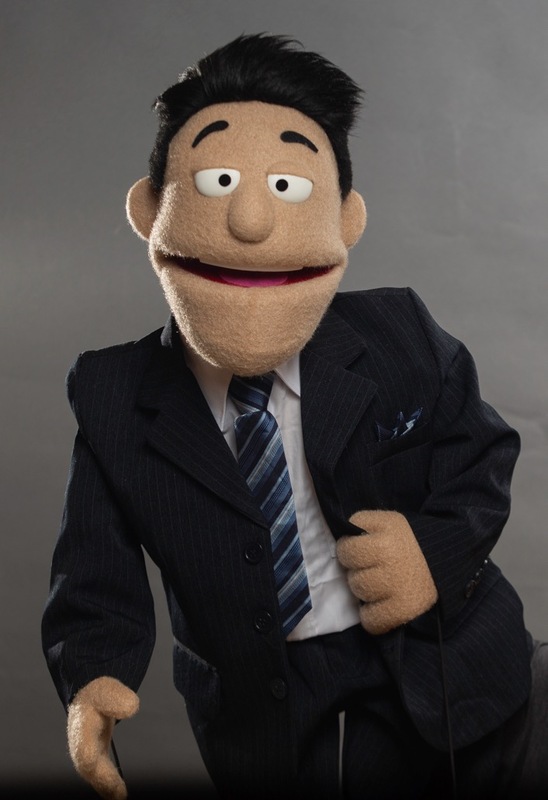 My client wanted a car salesman custom puppet and I was excited to deliver that final product. I was given only that the client envisioned a character that was a late 30-early 40 Hispanic male. The idea was that the character look like a car salesman or a game show host. Though it wasn’t a lot to go on, the client was thrilled with the outcome. While I’m talking about this project, I would like to give a quick shoutout to Puppet Pelts for always supplying the best fleece. Their customer service is top notch, and the fabrics they offer are so colorful and beautiful. The goal of any project is to make the customer as happy as possible with the finished product, and I’m glad I was able to deliver.